Microsoft and Sony’s respective Durango and Orbis projects are “in a completely different league” to Wii U, according Digital Foundry’s hardware expert Richard Leadbetter. Having gotten hold of reverse-engineering photography from Chipworks, he was able to assess the console’s horsepower – superior than initial estimations in E3 2011, yet not enough to rival forthcoming competitor platforms. 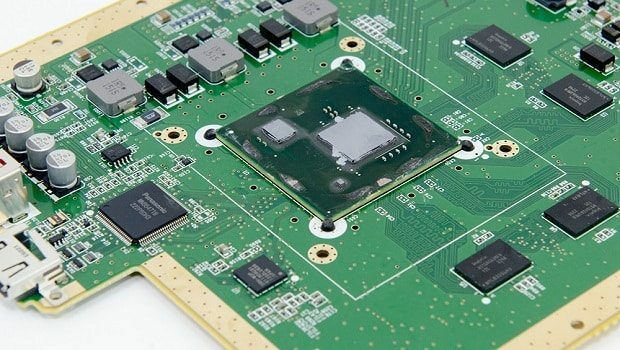 “It was ballpark speculation at the time based on what we had eyeballed at the event [E3 2011], but the final GPU is indeed a close match to the 4650/4670, albeit with a deficit in the number of texture-mapping units and a lower clock speed – 550MHz,” Leadbetter explains in his report. He continues, “However, the 16 TMUs at 550MHz and texture cache improvements found in RV770 do elevate the capabilities of this hardware beyond the Xenos GPU in the Xbox 360 – 1.5 times the raw shader power sounds about right. Whether this is truly cause for concern remains to be seen, but with an expected PlayStation 4 reveal on February 20th we’ll certainly know soon enough.